Happy New Year! 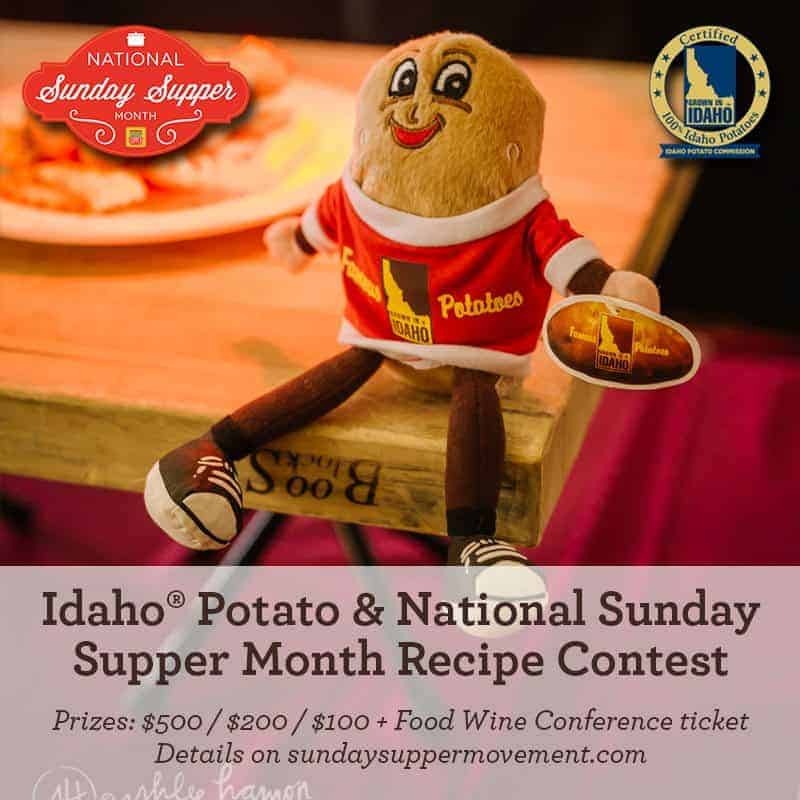 Not only is this the first Sunday Supper post of 2016, but it is the kickoff for National Sunday Supper Month! Today I’m sharing a recipe from the archives that I hope to make again soon, because it’s perfect for Sunday dinners. It might seem like a lot of work to make crescent rolls from scratch, but I promise it is worth it. This is something that I thought it would take too long to make. Surprise! It actually went together fairly quickly, for a yeast bread. Definitely worth the effort – another winner from Simply in Season . Would you like even more great recipes? Check out the Sunday Supper submissions at the end of this post. Combine flour through allspice in a large bowl. Combine sweet potatoes, milk, and butter in a large saucepan and cook over medium heat, stirring until butter is melted and mixture is warm. Add to the flour mixture. Beat with mixer set on low speed, scraping bowl, until mixture is all moistened (1-2 minutes). Add egg and beat for 3 minutes at medium speed. Stir in enough bread flour until dough is easy to handle. Turn onto floured surface and knead until smooth and elastic, about 7-9 minutes. Place in greased bowl, turn to grease both sides, cover with a damp cloth, and let rise until double. Punch down dough and divide in half. Roll each half of dough on lightly floured surface into a 12 inch circle. Brush each circle with 1 T melted butter. Cut into 12 wedges and tightly roll up each wedge from wide end to point. Place each roll point side down on greased baking sheet. Cover and let rise until doubled. Bake in preheated oven at 375 until golden brown, 10-12 minutes. The verdict: I LOVED the sweet potato flavor in these, and I served them to DH’s brew crew. They ate them all up! So soft and delicious, MUCH better than the ol’ pop can. Yum, I love sweet potatoes, and these look delicious! You don’t mention how you cooked them, but I would imagine baking (rather than boiling) would give them a wonderful rich flavor. Can’t wait to try these! .-= Amy @ Cheerful Cookery´s last blog ..For perfect mashed potatoes, break all the rules =-. They look delicious! I don’t have any sweet potatoes, but I have some pumpkin that I put up in the freezer and a couple of squash looking for a job. Maybe I’ll have to try this out. These look great. I love making bread. .-= debbie´s last blog ..<a href=\ =-. Adding this to my to-make list! Wow who knew you could sweet potato in bread rolls?! Great recipe and thanks for sharing it at Wholesome Whole Foods! 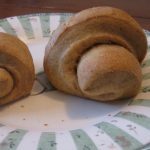 These rolls are beautiful and the recipe looks very good. I am going to try your recipe. Thank you for sharing with us. Yum! I bet those sweet potatoes really keep the dough moist! I can’t wait to try these! What a wonderful addition to any Supper never mind Sunday Supper! Yum! I love the addition of sweet potato and those spices. These rolls sound absolutely wonderful!!! Love the sweetness from the sweet potatoes! These look wonderful! Love sweet potatoes in rolls. 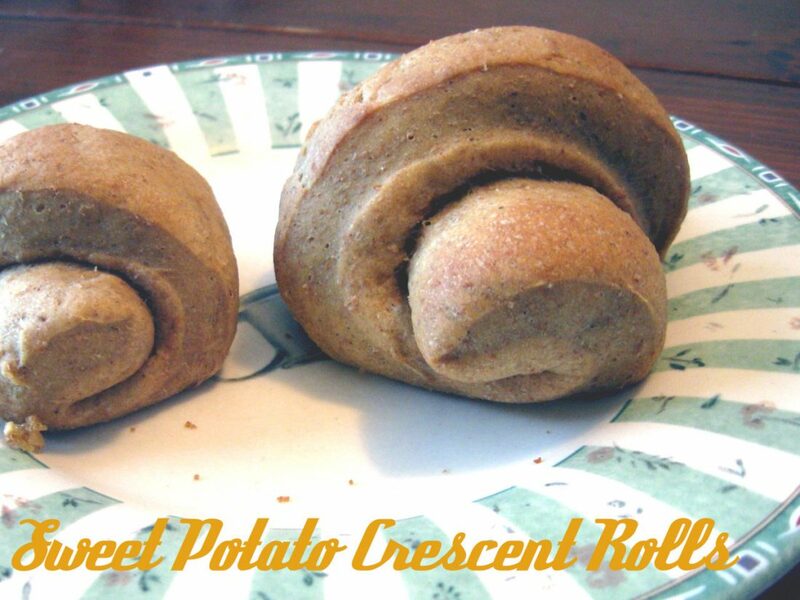 I love the addition of sweet potatoes to these crescent rolls. My mouth is watering like crazy. Perfect! I have a leftover sweet potato in the pantry, this will be great!